MICHEL MIRABAL ABOUT PROUD I - Acquired by one of our dear collectors. "This is an Artwork I did in Aspen Colorado. 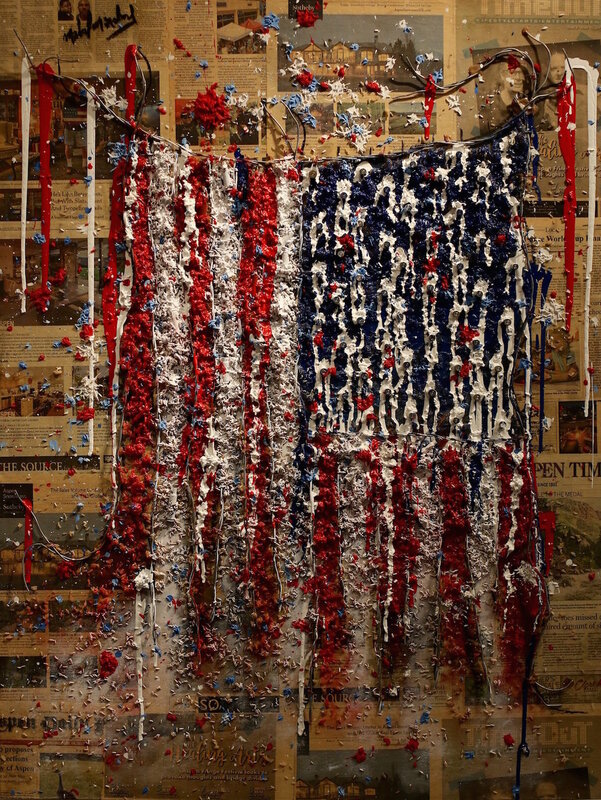 The inspiration was the glorious American people, since I come from a country that is constantly talking about things that I discovered are wrong. I realized that the people of the United States are heroes and great patriots. I was inspired by the greatness of the United States and especially with its people. I wasn't so much by the decisions of its government: what fills me with pride is that when they have an international conflict they all come together, no matter if they are republican or democrats... They all come together for their country and that is its pride." Our superstar from Cuba is 'Michel Mirabal’. In June 2017 we flew him to Aspen in order to create the first Artwork he ever did in the US. Check out what he did! Michel Mirabal graduated in Visual Arts at the Fine Arts National Academy San Alejandro (1996), studied in New York at the Rockefeller Scholarship (1997) and specialized in Industrial Design at the High Institute of Design in Havana. 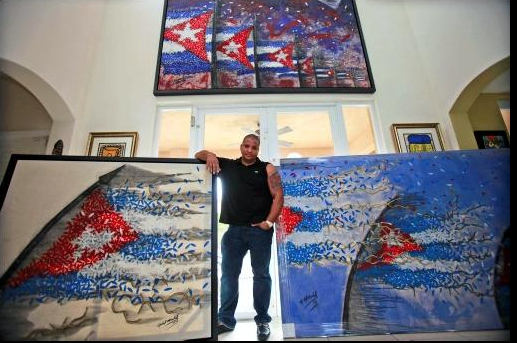 Worked as a scenery painter for the Cuban National Ballet Company, and for the Production Department of the Cuban Institute of Cinematographic Art and Industry (ICAIC).Through its reflective of Cuban flags, created from petals and barbed wire paints, he expresses. 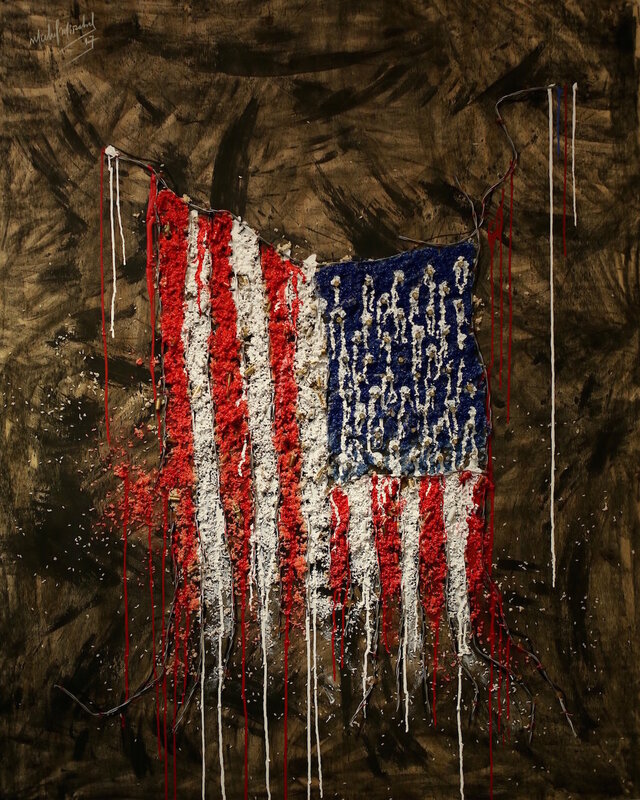 The questioning of the official speeches, the play with patriotic symbols and the metaphors through real elements such as rice, bullet casings, and barbed wire, are some of the resources used to create reflective pieces, open to different interpretations in dependence on whoever contemplated. 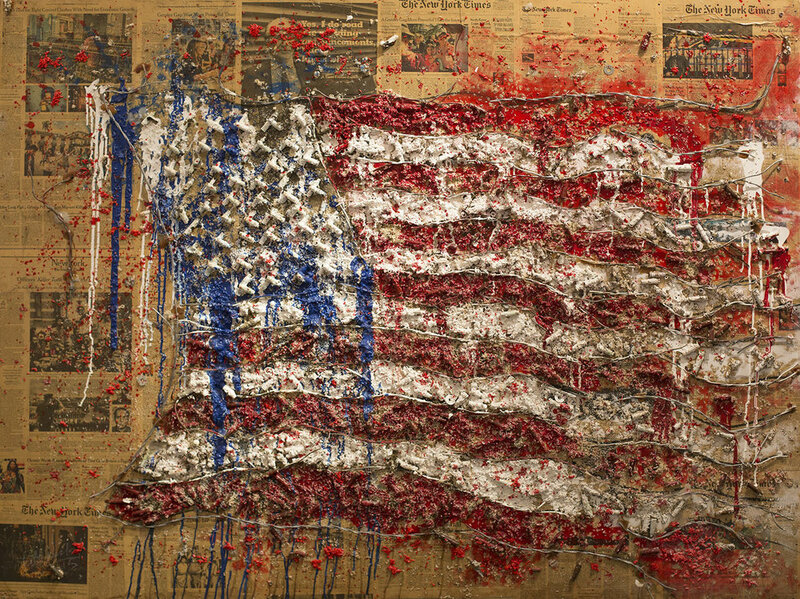 The artist, whose paintings have been bought by diverse collectors such as Barrack Obama, Donald Trump, Muhammad Ali, Quincy Jones, Carlos Santana, Nobel laureate Gabriel García Márquez, actor Danny Glover, the Rockefeller Museum, the Cuban Council of State, former Haitian President Rene Preval among others. 2016 I bleed, I fight and I survive, Havana, Gran Havana, Alicia Alonzo. Of the Council of State, Cuba. 2012 gallery of jessolo, venesia, italy, series flags. 2011- Tour USA, NYC, Los Angeles, San Francisco, Miami. 2010- Tour USA, NYC, Los Angeles, San Francisco, Miami. 2009- Collective Expo collection National Council of Plastic Arts. National Theater of Cuba. 2009- Artbo Fair, Bogota, Colombia. 2008- Concert of the Villagers, theater Acapulco, performance Cuban flag. 2007- Soul Gallery, Toronto, Canada. 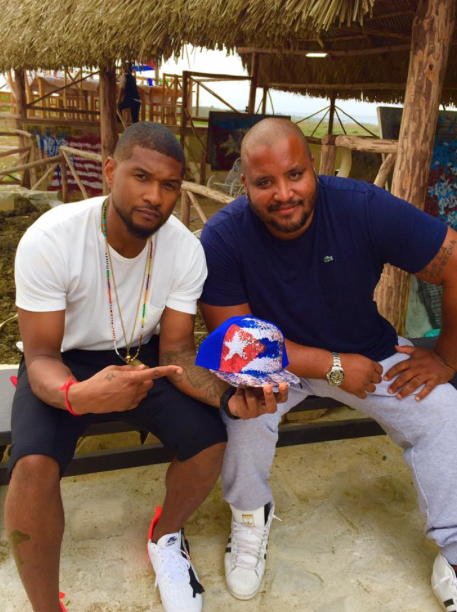 10 Cuban artists. 2006- The Gallery branch, Lisbon, Portugal. 2005- Meliá Varadero Hotel, Matanzas, Cuba. Art and Fashion. 2005- Museum of rum, Havana, Cuba. Art and Fashion. 2005 - Salon 485 Anniversary of the foundation of the town of San Cristobal de la Habana. 2004- Bethlehem Convent, Havana, Cuba. Christ among us. 2003- The Acacia Gallery, Havana, Cuba. 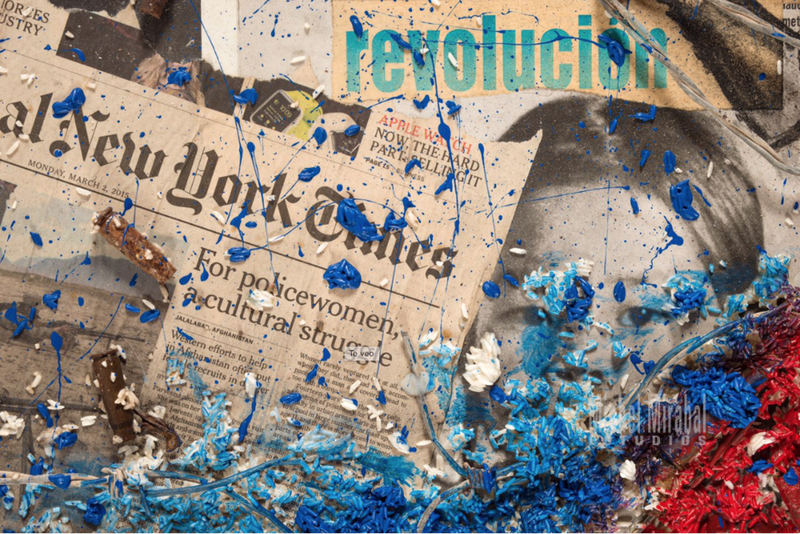 Ten contemporary Cuban artists. 2001- Gallery The golden branch, Panama City, Echoes of Cuba. 2000- Dominican Republic. Third drawing room. 2016 personal expo at home of sugar mogul, andres fanjul palm beach, florida. 2013 gallery cuban art center, chelsea, new york. 2011 Bienal de La Habana 2012 Complaints and Suggestions, complex Morro Cabaña. 2010 / 11- USA Tour, Los Angeles, NYC, San Francisco, MIami. 2010-Museo cisión de valmarino, Venezia. 2010 - Gallery jessolo, Venezia, painting and freedom. 2009- 10m to biennial of Havana, here escaping. 2009 - Duvuells Gallery, Paris. 2008 - Sandals Gallery, London. 2008- Marbella, Spain. Fair Marbella. 2008- Hotel Nacional de Cuba, Havana. Identity. 2007- La Rama Gallery, Lisbon, Portugal. Quick and not furious. 2007- Palma de Mayorca, Spain. Expo Feria Art Cologne. 2007- Santander, Spain. Cantabria Gastronomic. 2006- O Y, Gallery, Miami, Florida. The story that suits us. 2006- Mirage, Gallery. Paris, I saw her. 2005- Buenos Aires, Argentina. Expo backstreet, Art Fair. 2005- Gallery Gran Teatro de La Habana, Havana Biennial, Havana. Cuba. Coffee with milk. 2004 - Gallery, National Council of Plastic Arts, Havana, Cuba. Metamorphosis. 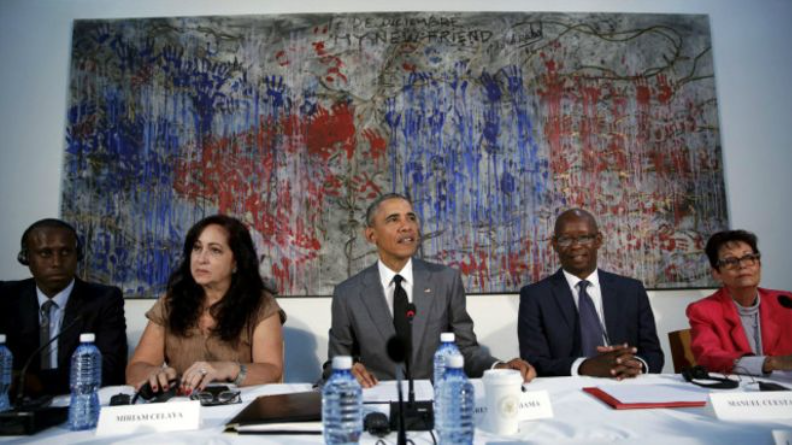 2004 - Servando Cabrera Gallery, Havana, Cuba. The history that suits us I. 2003- Not only diamond, Gallery, Mexico. The story that suits us 2. 2003- O Y Gallery, Miami, Florida. I'm from Cuba. 2003- Miltong Gallery, Kingstong, Jamaica. That's how I am. 2002 - Colón Gallery, Matanzas, Cuba. My neighborhood. 2002- Martha Jean_Claude Foundation, Port-au-Prince, Haiti. My hands. 2002- The Acacia Gallery, Havana, Cuba. Oquendo 358. 2001- Fundación Hermanas Mirabal, Dominican Republic. My hands. 2001 - Meliá Varadero Gallery, Havana, Cuba. Ink of madness. 2001- Itinerant, Haiti, Dominican Republic, Jamaica. 1999 - Gallery The Acacia, Havana, Cuba. Is what you see. 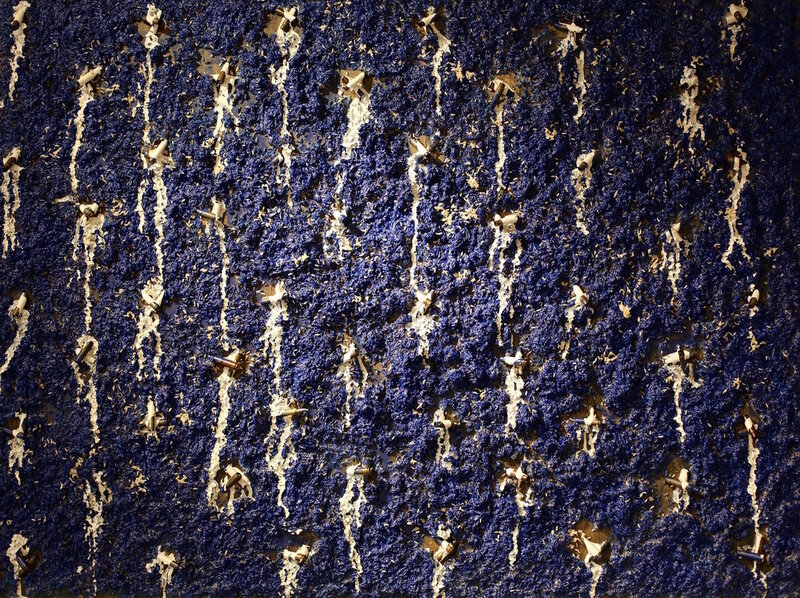 1998- Habana Libre Gallery, Havana, Cuba. Round trip. Medellín, National Museum of Arts, Bogotá, Colombia. 1998- Maxim Gallery, Miami, Florida, De Cuba comes.